Contractors, remediation professionals and restoration experts now have access to a dynamic new cleaner - Bad Axe Ravage Rinse. Following the introduction and widespread success of Bad Axe Particulate Conqueror earlier this year, Bad Axe Restoration Products is pleased to introduce their latest groundbreaking product for the restoration and remediation industry. 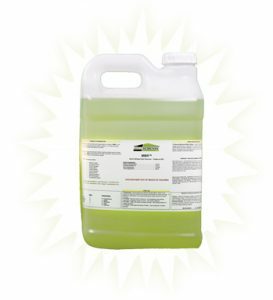 Bad Axe Ravage Rinse is a super concentrate, non-residue forming wettable powder that uses the power of oxygen for surface preparation, source removal and organic stain removal. Ravage Rinse is an ideal product for mold remediation, fire, sewage, Category 2 and 3 water losses, trauma, post-mortem and crime scene clean-up projects. The scientifically designed stain remover and multi-purpose cleaner is completely shelf stable and its low toxicity and volatile organic compound (VOC) compliance keeps working and living environments safe for restoration workers and their customers, both during and after the job. Ravage Rinse has variable dilution ratios making it an ideal multipurpose cleaner for household surfaces such as carpet, tile, grout, synthetic rugs, concrete, stone patios and composite decking. 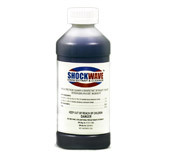 It is suitable for hard, semi-porous and porous surfaces, including finished and unfinished wood, laminated surfaces, stone painted or sealed surfaces, tile, metals, glass, fiberglass, composites, plastics and vinyl (such as those materials used in restoration equipment, personal protection equipment and within construction materials like HVAC, plumbing, flooring, walls and structural substrates). Ravage Rinse can also be used on countertops, sinks, toilets, garbage cans, toys, highchairs, changing tables, public transportation, sporting gear, exercise equipment and laundry facilities. To learn more about Bad Axe Ravage Rinse or other cutting-edge restoration and remediation products, please visit www.BadAxeProducts.com or www.FastMoldRemoval.com, email cmh@moldsolutionsintl.com or call 815-277-5100. 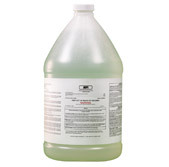 Bad Axe Products, LLC, formerly Healthy Home Solutions, LLC, is the manufacturer of industry leading products, including MMR mold stain remover. The company is based in Frankfort, Illinois and distributes their products through www.BadAxeProducts.com, www.FastMoldRemoval.com, through Jon-Don and other distributors. Bad Axe Products has announced an aggressive rollout of new products to enhance industry standard practices and streamline field technician efforts. These products are supported by a cutting-edge marketing campaign started in 2017.